So I've been on vacation for the past week or so and missed updating my website before that. But before I left on June 28, Prior Lake was still building on it's record rise and getting deeper and deeper every day. We peaked at about 913 feet above sea level which is about 8 feet higher than our previous record of about 905 feet set in 1983. This was the highest recorded mark since records started being kept in 1971. Which now makes a good portion of the lake way over my head. We're lucky to live on a hill, so my closest neighbors and I have been spared any house flooding like many of our Prior Lake neighbors are enduring. Although my neighbor's boat shed is being surrounded like never before. I was walking out of work one night when I found this turkey in the parking lot staring back at me. I remember not long ago when I'd never seen a wild turkey before, but now I see them all the time. If this keeps up we might have to start having Thanksgiving more than once a year to deal with the over-population. 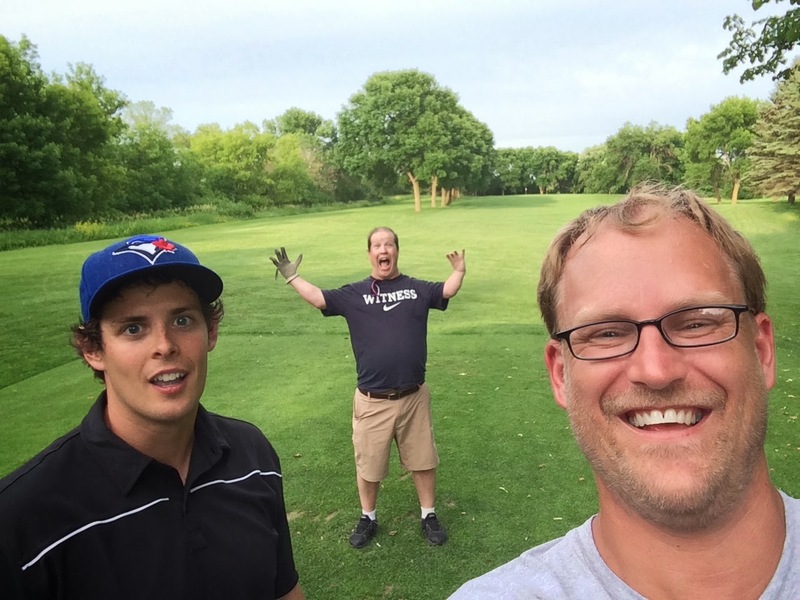 On Monday night, I went golfing with Krazy Kory and Josh the Canadian. I had a good time, but I couldn't keep up with them on the links. One of these days, I've got to figure out how to drive longer. And straighter. And putt. And pitch. Then I'll show 'em. On Sunday morning we woke up early to help with a KING TeC robotics fundraiser by selling brats outside the local grocery store. Tim cooked up some good brats which smelled delicious and made the customers come knocking at our door. Luke and Alex worked the curb to try to attract customers who couldn't smell us. All in all we had a good day raising money for the Prior Lake high school robotics team!